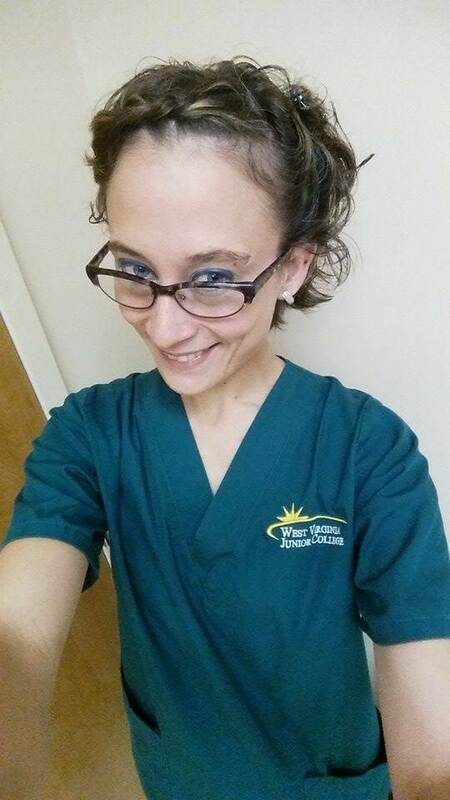 Medical Assisting student Megan Sturm knew that WVJC- Bridgeport was the right choice for her as soon as she stepped into the school. She instantly felt comfortable and welcomed. She knew the Medical Assisting program was a good fit because she has always had the utmost respect for people in the medical field. She loves to help others and enjoys the hands on interaction and the feeling of making a difference. Not only is Sturm a student at WVJC- Bridgeport, she also holds a part-time job at Kroger, was recently chosen to be a college work study, and is a mother. “My daughter is my motivation to achieve my goals,” said Sturm. She also names her grandma and her boyfriend, Brian, as big supporters.